Gordon F. Murray, M.D., an accomplished cardiothoracic surgeon, executive director of Lung Banks of America, and former faculty member at the University of North Carolina at Chapel Hill, and West Virginia University, passed away peacefully on Monday, May 21, 2018. He was 79. Dr. Murray, professor emeritus at West Virginia University and former chair of WVU’s Department of Surgery, was a talented thoracic surgeon, educator and leader of the profession. He was a compassionate, trusted, and trusting person who touched thousands of lives. 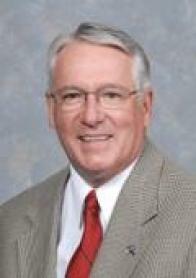 Dr. Murray, a native of Muskegon, MI, completed pre-medical education and earned his M.D. from the University of Michigan. He trained in surgery and cardiothoracic surgery at Johns Hopkins University in Baltimore and Massachusetts General Hospital in Boston. After residency training, he served in the Navy for two years as a thoracic surgeon in the U.S. Naval Hospital at Great Lakes, IL. He continued to serve in the U.S. Navy Reserve, later retiring at the rank of commander. He joined the faculty at UNC as assistant professor of surgery in 1972 and worked at UNC for 13 years, rising to the rank of full professor and associate division chief. In 1985, he was recruited to West Virginia University as chief of the Division of Cardiothoracic Surgery and professor of surgery. Two years later, he became chair of the WVU Department of Surgery, a post he held for 11 years. He also served as director of the thoracic residency program and chief of surgical services. He retired in 2004. Throughout his long and productive career, Dr. Murray held leadership roles in a number of national surgical organizations. He was president of the Society of Thoracic Surgeons (STS), the largest professional society of thoracic surgeons in the world, and served on committees and in other executive positions in the STS. He also served as president of the Southern Thoracic Surgical Society. Dr. Murray was passionate about surgical education. He served on the American Board of Thoracic Surgery (ABTS), ultimately becoming president of the ABTS, the body that credentials and maintains credentialing of cardiothoracic surgeons. He was one of the founding members of the Thoracic Surgery Directors Association, which brought together program directors and associate program directors to help standardize curriculum and training of residents for cardiothoracic training programs. He was a founder of the Thoracic Surgery Foundation for Research and Education, which raises money and now funds several thoracic surgical trainees and junior faculty annually to perform research. After Dr. Murray’s service as president of the STS, he and his wife moved to St. James Plantation in Southport, NC. He remained active in retirement. He continued to serve on the board of directors of the STS. He endowed a lectureship at West Virginia Health Sciences Center, and travelled to the university annually to participate in this event. He served as executive director of Lung Banks of America, a North Carolina-based non-profit corporation whose mission is to promote recovery of lungs from sudden-death victims to dramatically increase the number of lungs for transplant. He helped Lung Banks of America prepare research grant proposals, including a subcontract on an NIH grant awarded to UNC to recover lungs from sudden death victims. In addition to his professional accomplishments, Gordon was a devoted husband and father. He is survived by his wife of nearly 55 years, Sharon Marsden Murray, and two children, daughter Bren Sparling, a former UNC Hospitals nurse, and her husband, Randy, of Chapel Hill, and son Bruce Murray, of Garner, who is director of the YMCA of Garner and Johnston County. Dr. Murray was predeceased by another son, Bill Murray. He is also survived by his brother, Doug Murray, and by six grandchildren, Sharon, Kate, Laura, Will, Kailyn and Conner. Dr. Murray was a surgeon’s surgeon who was an outstanding role model for students, residents, faculty, and the entire global community of thoracic surgeons. In lieu of flowers, the Murray family has suggested that memorial contributions be made to Lung Banks of America, 741 Pinehurst Drive, Chapel Hill, NC, 27517.